The following books complement the Grade 6 Biodiversity unit. 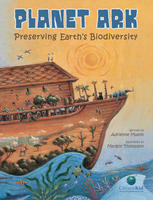 Planet Ark: Preserving Earth’s Biodiversity, by Adrienne Mason, illustrated by Margot Thompson, makes biodiversity easy to understand. Using the biblical Noah as a metaphoric guardian, biodiversity is covered in three ways: species biodiversity, genetic biodiversity, and biodiversity within habitats. The text explains that an astounding 15,000–20,000 new species are identified each year, and the reader is asked to think about preservation in the following way: beware trashing your broken skateboard because you might later need one of its parts. At the end of the book is a grocery list of why biodiversity matters, along with examples of modern-day child Noahs who are working to preserve biodiversity. 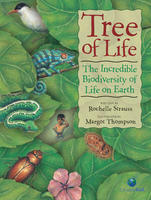 The Tree of Life: The Incredible Biodiversity of Life on Earth, by Rochelle Strauss, also illustrated by Margot Thompson, is a great scaffold for learning about biodiversity. The tree metaphor serves as a graphic organizer of the five kingdoms: bacteria, fungi, algae, plants and animals, showing the interconnectedness of each. Humans make up only one leaf of the entire tree, yet they have the greatest impact on the tree of life. A list of at-risk species and ideas about how we can help them are found near the end of the book. 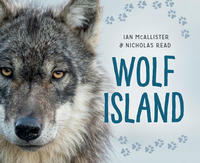 Wolf Island, by Celia Godkin, is a story of how changing the food chain can affect the biodiversity puzzle. When wolves disappear from an island, the excessive deer population starts to overfeed on plants, leaving less for rabbits and mice, which in turn affects the owls. The deer start to gnaw tree bark, killing the trees. And so it goes, the interdependency of species. Part of the curriculum addresses an understanding of how our vast number of plants, rocks, minerals, and animals contribute to human-made objects. 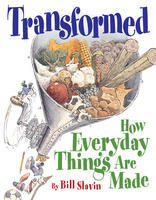 Transformed: How Everyday Things Are Made, by Bill Slavin, is a fantastic resource, with clever, often humourous, step-by-step illustrations of how we make cat litter, aluminum foil, cutlery, Band-Aids, mirrors, guitars, silk, latex, cotton balls, and more. 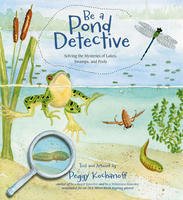 Silver Birch nominee Be a Pond Detective, Solving the Mysteries of Lakes, Swamps and Pools, by Peggy Kochanoff, is written as a Q & A (with questions like, "Why do some insects walk on top of the water and others swim where they can’t breathe? ), accompanied by lovely watercolour illustrations. The value of this book is its diverse range of species, from cattails to insects, duckweed to birds, larvae to muskrats. Also included in this series: Be a Wilderness Detective, Solving the Mysteries of Fields, Woods and Coastlines, as well as Be a Beach Detective, Be a City Detective, and Be a Night Detective, You Can Be a Nature Detective. 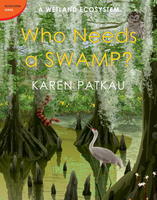 Who Needs a Swamp, by Karen Patkau, is one title in the Ecosystems Series (also: Who Needs a Reef, Prairie, Desert, Jungle, Iceberg). This Blue Spruce nominee with computer-generated art shows a range of species for each ecosystem. The whole series showcases the diversity of habitats, the specific negative impact of human activities and how each ecosystem is essential to the earth as a whole, such as that swamps are part of the water cycle, for which wetlands act as a filter. Snapshots in summary form at the back address the range of creatures, plants and insects found in each ecosystem. These books are a great springboard for further research. A Tree in a Forest, by Jan Thornhill, portrays the life of a 200-year-old tree. Detailed pictures reveal a diverse ecological community born from a single maple key in a rotting log. Portrayed are root systems, animals hibernating in and around the tree, visiting birds, bugs and wildlife. Despite a forest fire, ice storms and lightning, the tree continues to attract and accommodate a mixture of forest creatures and plant life.